Children rarely have much power over their lives. They are told what time to get up, what to eat for breakfast, who their teachers are, what classes they must attend, and so on. This can be especially true for students in special education who often struggle in school, and receive even more academic and behavioral instruction. When a special education student has experienced trauma—hunger, homelessness, violence—the loss of control a student feels over even the simplest part of a school day can be exacerbated. But at our school, children in special education are empowered to thrive. They are the ones in enviable positions getting to leave their classrooms for small group sessions in the learning center where they learn to be kind, listen to others, follow routines, and otherwise “do their jobs.” These messages motivate students to self-actualize, and they are succeeding with learning tools that help them think critically and persevere when the going gets tough. So, how do we help students feels more confident in taking control of their lives? The answer is simple: When students are allowed to make choices, they begin to have power. In my classroom, I use a motivational program called The Shadow Project to help kids realize and use their power in making decisions over schoolwork and behavior. The Shadow Project provides resources and incentives so that our students can do their jobs with more confidence and feel the value of a task well done. When students set goals for themselves, they are able to see they have a say in their own path forward. They aren’t being told where they must make gains, they are guided towards goals. They are given power in choosing their goals. They are listened to and their opinions are valued. When students’ ideas and opinions are valued, they are empowered. Not all kids get a paycheck for the work they do! Our learning center students who do their job and act like respectful, responsible students get Shadow Bucks (classroom money) just like an adult might earn a paycheck. If students don’t engage in learning in a way supportive to our community, they don’t earn Shadow Bucks like their peers. Students keep their Shadow Bucks in envelopes (we call them wallets) and periodically get to count their Bucks, and can decide to trade up for bigger bills, which is motivating as the Bucks accumulate, as well as good for math skills. It is important to take notice of kids’ progress and accomplishments, particularly those with learning disabilities whose forward movement may be incrementally smaller, and who aren’t always recognized for their efforts. So, every six weeks we have Shadow Day. In order to participate in Shadow Day, our students are expected to have a strong work ethic with community-minded behavior to match. This doesn’t mean that they need to be perfect. This just means that when our students make mistakes, they are motivated to set goals and improve where needed so that they can achieve their goals and participate in the celebration. Shadow Day is a top secret event only for our kids in special education. They know not to talk about it with their peers, because it is a privilege, and we don’t want other students to feel bad that they are not included. This secret celebration makes them feel special and in charge of their destiny. Older students get to help choose the Shadow Day date. Then, we post the date in the classroom so that the date is known by all our students who need to know. On Shadow Day—like a payday for adults—students are empowered to spend their “paycheck” in whatever way they choose with their Bucks. They can select gifts, school supplies, books, sensory tools, art supplies, and more. Being able to spend one’s own paycheck as one chooses is empowering. Where else can young children in a lower-income community have the power to earn and purchase? Empowering kids with special needs through goal setting, earning Shadow Bucks, and celebrating Shadow Day gives meaning to students’ lives. As Viktor Frankl writes in Man’s Search for Meaning, “Life is never made unbearable by circumstances, but only by lack of meaning and purpose.” When my kids feel that they are spending their days at school with a purpose they are more motivated to show up and work hard. Our students’ purpose is supported by their kind, caring teachers … and by The Shadow Project. 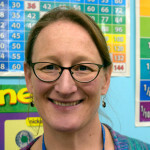 Beth Brod, M.A., is a longtime special education teacher in Portland, Oregon, currently based at Woodmere Elementary School in the Portland Public School district. The Shadow Project teams with teachers to make school a place where children who learn differently can thrive. We are seeking highly-organized, technologically-adept, and mission-driven applicants for our Operations Coordinator position. The Operations Coordinator is a full-time position which 1) coordinates The Shadow Project’s Goal Setting program, and 2) maximizes the organization’s capacity to grow by creating and maintaining efficient and effective systems for data collection and evaluation, fundraising, and office administration. This position serves as a key player on the Shadow Program team, which focuses on standardization of our three programs and continuous program improvement. The Operations Coordinator reports to the Director of Programs, but will work with other staff on database management, stewardship, and administrative support duties. The Shadow Project is growing, and we are looking for a dynamic problem-solver who is ready to learn and grow with us. The Shadow Project is a Portland-based nonprofit committed to making school more accessible and engaging for children with learning challenges. 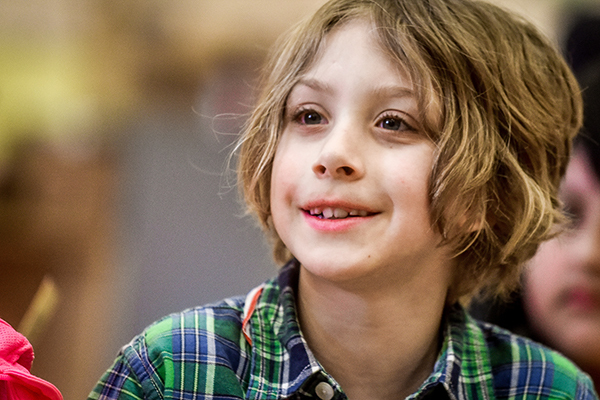 The only nonprofit of its kind in the country, Shadow serves 1,600 boys and girls grades kindergarten through eight whose dyslexia, ADHD, autism, or other special education need can turn reading, writing, or paying attention into a daily struggle. Shadow Project: equips teachers with three evidence-based programs that motivate discouraged learners; provides access to tools for success, including tailored reading and sensory materials; and supports teachers in integrating these tools and techniques into their classrooms. Shadow Project works to advance equity for our diverse learners, most of whom attend low-income schools and are from communities of color. Operate free online Shadow Store for special education teachers, including inventory management, Shopify website, and in-person educator support. Manage warehouse volunteers who build teacher orders, and deliver materials, and collaborate to build warehouse volunteer base. Collect data and report on program evaluation metrics. Collaborate to promote teacher fidelity to program. Maintain positive relationship with warehouse partner and lessor, Schoolhouse Supplies. Actively participate on The Shadow Program team, with focus on program standardization, and continuous program improvement. Assist with scheduling, installing, and maintaining Sensory Spaces. Assist with planning and staffing of Shadow events. Maximize organizational use of Salesforce for donor relations and tracking. potential school partner marketing; and partner communications, relations, and tracking. Assist with execution of program evaluation. Design and maintain program evaluation tools. Collect and analyze data; produce internal reports. Manage office supplies inventory and ordering. Manage in-house technical and Internet issues. Help update organization website content. Assist with organization development tasks, including soliciting and tracking in-kind donations for Shadow Store, and overseeing thank you letter production and mailings. While performing the duties of this job, the employee is occasionally required to stand, walk, and/or sit. The employee must regularly lift and/or move up to 25 pounds. Hours are flexible, with an occasional evening or weekend required. Interested candidates should submit a resume and short cover letter outlining how they meet the minimum requirements, via email, with their name in the subject line to info@shadow-project.org. Salary is $34,000 to $36,000 based on experience. Benefits include health insurance and three weeks vacation annually. The Shadow Project is an Equal Opportunity Employer committed to equity, diversity, and inclusion. We encourage applications from candidates with disabilities, from communities of color, veterans, and those who identify as LGBTQ. Portland Society Page highlights The Shadow Project’s most recent award from The Spirit Mountain Community Fund. The Shadow Project is one of CareOregon’s latest grantees, and will expand trauma-informed care for students with disabilities. Read the full story here.